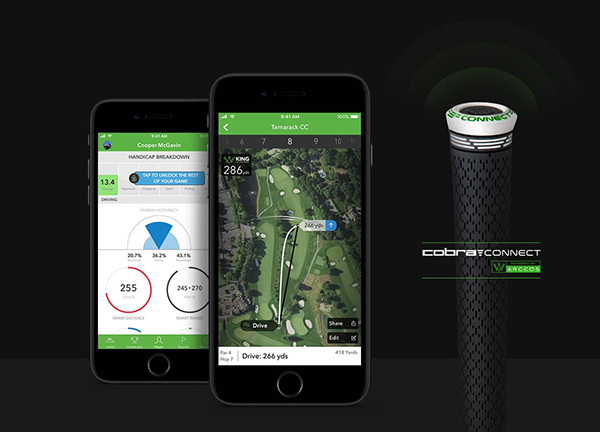 Cobra Connect sensors are now included in every club in the F8 family. You get GPS access to more than 40,000 golf courses to help track your game. The sensor records each swing, displaying results on your smartphone. With more access to data, you track your round, improve where you need it, and share and challenge your friends. A progressive set composition flows gradually from forgiving, cavity back long irons (2-6 iron) to muscle back short irons (7-PW) designed for precision and scoring. COBRA’s most durable satin black finish ever, DBM (Dimonized Black Metal) provides extreme resistance to wear for longer lasting, better-looking irons.